The contemporary 2 kW Turbo Convector heater is finished in white with matt graphite-coloured accents and features 3 heat settings using simple, push button controls. Including a fully adjustable thermostat with rotary control and overheat safety cut-out features as standard. 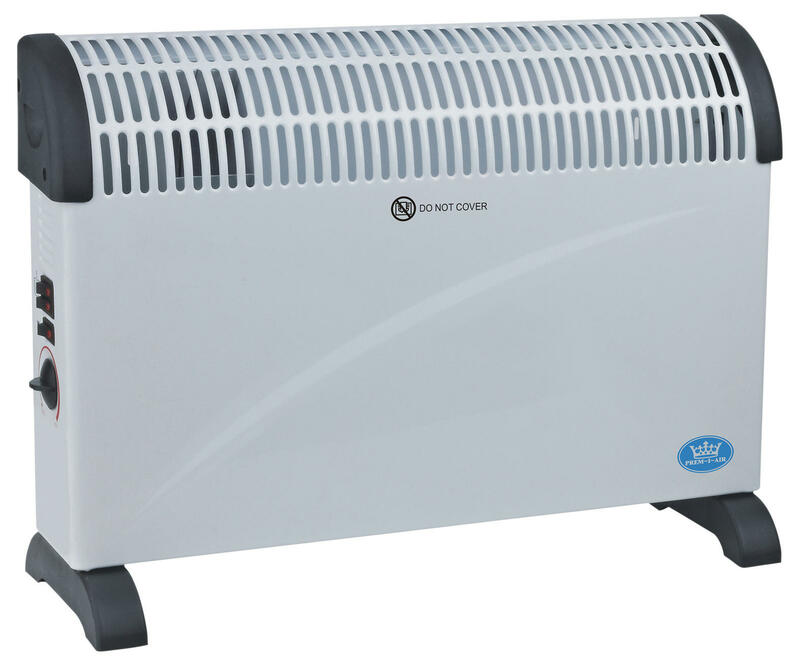 This attractive 2 kW Convector Heater can be wall mounted or floor-standing and has a clean, contemporary design to suit any home or small office.